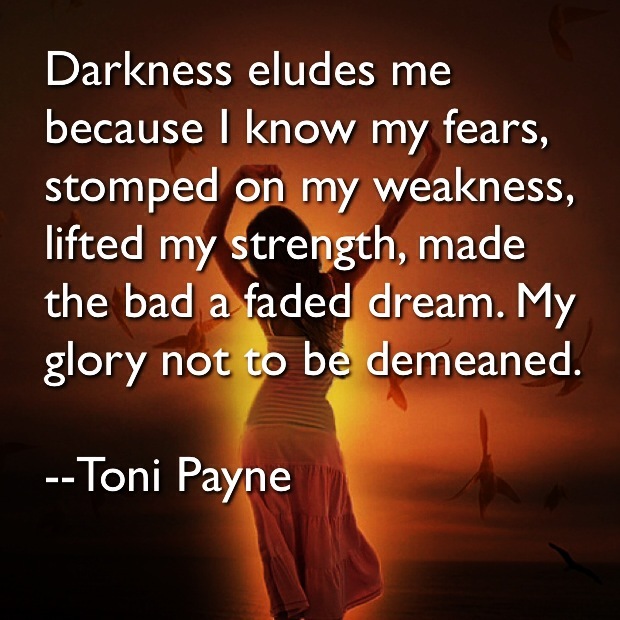 Darkness Eludes me because I know my fears, stomped on my weakness, lifted my strength. Flaunted the good, made the bad a faded dream. My glory not to be demeaned.